If you are looking for something to read during National Poetry Month, you are in the right place. 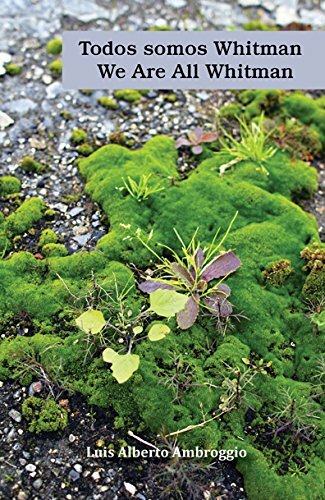 We have compiled a marvelous list of recently published bilingual poetry books that will enrich your poetic and cultural experience. The nationalities of the poets included are: the U.S, El Salvador, Spain, the Dominican Republic, Mexico and Argentina. From U.S. Poet Laureate Juan Felipe Herrera, here are stirring poems that read like music. Awarded the Pura Belpré Honor for this book, Herrera writes in both Spanish and English about the joy and laughter and sometimes the confusion of growing up in an upside-down, jumbled-up world—between two cultures, two homes. With a crazy maraca beat, Herrera creates poetry as rich and vibrant as mole de olé and pineapple tamales . . . an aroma of papaya . . . a clear soup with strong garlic, so you will grow & not disappear. Herrera's words are hot & peppery, good for you. They show us what it means to laugh out loud until it feels like flying. The 48 poems in this collection—in Spanish and English—smolder with loss and longing. Argueta’s indigenous roots ultimately contribute to his salvation after he flees his homeland. His braids, he writes, “are rivers / Of my village / Running / Down my back.” In San Francisco, he becomes part of the city’s exile community, yearning for home but knowing his friends and relatives are dead or gone. His pain is like a ring that “lives on my left hand / as if I were / married to it.” In spite of the pain and sorrow expressed in many of these poems, Argueta’s work is a powerful testament to love, hope and the strength of the human spirit. This book presents the groundbreaking Destructivist Poetics of multidisciplinary artist and scholar Tina Escaja. “Destructivismo,” a movement founded by Escaja (AKA Alm@ Perez) in 2014 with a poetic action in Vicente Huidobro’s grave, has become very influential in contemporary Spanish and Latin America poetry. It now comes to the English speaking world thanks to the work of renowned translator Kristin Dykstra. Definitely, this book is a must have for anyone interested in 21st Century poetics. Using hashtags and numbers as titles, Carmona gives life to a new form of explosive, existential, socially rebellious poetry that pushes the boundaries of modern poetry. 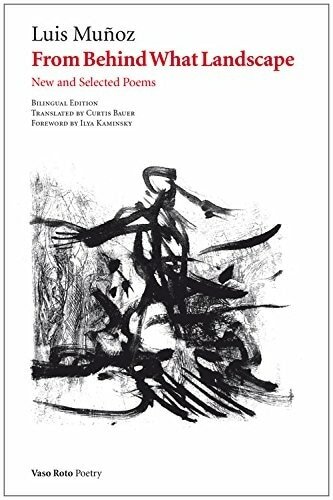 140 Twitter Poems is a vivid collection of personal, social and philosophically driven poems by Christopher Carmona and translated by Gerald Padilla. This bilingual collection was originally published on Twitter over 140 days, from December 1, 2015 to April 12, 2016, expressing Carmona's personal reflections and the sociopolitical fervor of the day. It is not just a poetry book, it is the current social narrative under a poet's lens which speaks of 21st century wounds in the United States and the wounds yet to come. Elusive Loves is a bilingual compilation of love poems from contemporary poet Mirtha Michelle Castro Mármol, author of the best-selling Letters, To The Men I Have Loved. She sets a seasonal stage in which she uses the divisions of the year to dive into the emotional cycle of romantic love. With words, she takes the reader on a passionate journey of the birth and death of infatuation, lust, and love. She has been able to capture the first feelings of love and loss in a raw form that has allowed her to earn the hearts of many loyal readers. After more than two decades of a career acclaimed for its originality, clarity, and imaginative richness, Luis Muñoz has emerged as one of the most brilliant poets of his generation. Ascetic and sensual, cheerful and elegant, Muñoz’s work revolves around the transience and the desire, the nature of time and memory in scrupulous detail. From Behind What Landscape is a complete introduction that includes both new poems as well as previous work from one of the most important voices in contemporary Spanish poetry. Luis Alberto Ambroggio was inspired to respond to Whitman's work after translating a series of essays about Song of Myself. This collection of 53 poems in English and Spanish is the result. Sometimes he includes a line from the master in his own piece, other times an epigraph introduces the verse. Focusing on themes of identity, love and life, this collection will inspire readers to understand the universality in us all. Ultimately, we will all go to where we came from, "air, shadow, sun, dust." 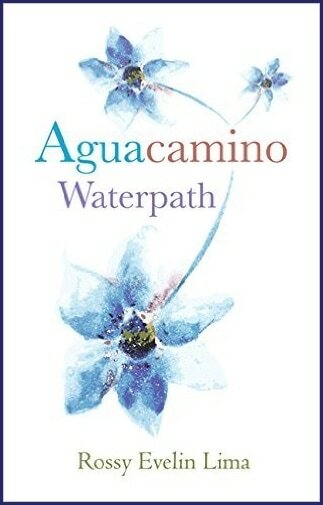 Aguacamino is a brutally honest and socially charged, bilingual poetry book by Mexican native Rossy Evelin Lima. In it, she describes her soul piercing experience as an undocumented immigrant in a mighty and unwavering voice that burns like combustion throughout the pages. This book sprouts like a wildflower between the crevice of a rock, willfully and defiantly. It is the immigrant voice within our Latino community that will no longer be silenced; the voice of our men, women and children who fuel this country with their dreams, love and hard work. In the words of the poet, "May the cylinders which rise/ like a blister on the shore/ be a panpipe to praise the condor/ and if the condor has been forgotten/ may my wings be the shade that caresses both nations." Santuarios desierto mar/ Sanctuaries Desert Sea by Juan Armando Rojas Joo is the finest example or trans-border Mexican-American poetry. This bilingual edition represents the wide universe references mark Rojas Joo's poetry. Jennifer Rathbun's translation is precise and vibrant. This book is homage to Mexican-American indigenous peoples, their mythologies and their transcultural experiences. Undoubtedly, Santuarios desierto mar / Sanctuaries Desert Sea is bound to become a classic in contemporary trans-border poetry. Warm-hearted recollections of family members are woven through this collection of 54 poems, in English and Spanish, which uses the images from lotería cards to pay homage to small-town, Mexican-American life along the Texas-Mexico border. Cultural traditions permeate these verses, from the curanderas who cure every affliction to the daily ritual of the afternoon merienda, or snack of sweet breads and hot chocolate. The community’s Catholic tradition is ever-present; holy days, customs and saints are staples of daily life. Inspired by the archetypes found in the Mexican bingo game called lotería, these poems reflect the history—of family, culture and war—rooted in the Southwest for hundreds of years.